Articles for June 2017 Year » SoftLab-Portable.com - Portable Soft! 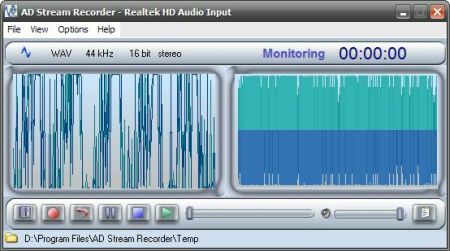 AD Stream Recorder is a sound record program for Windows. It can digitize, visualize and record any signal connected to your sound card as well as live streaming audio including the Internet radio played by the most popular media players into MP3 and WAV format. Real-time sound visualization while monitoring and recording enables you to adjust the audio source level and make high quality recordings. AD Stream Recorder features include sound clipping detection, record control with hotkeys, build-in player. MyPaint is a fast and easy open-source graphics application for digital painters. It lets you focus on the art instead of the program. You work on your canvas with minimum distractions, bringing up the interface only when you need it. MyPaint comes with a large brush collection including charcoal and ink to emulate real media, but the highly configurable brush engine allows you to experiment with your own brushes and with not-quite-natural painting. Before beginning it is a good idea to read the quick-start tutorial to see how the program is meant to be used.